Scuba diving in Baa Atoll will take you to three separate, diverse natural atolls - Maalhosmadulu Atoll, Fasduthere Atoll and the Goifulhafehendhu Atoll - and a total of 75 islands, out of which ONLY 13 are inhabited. The tranquil environment, light blue crystal water, rich coral gardens, colorful reef fish and large wild life encounters make for exciting scuba diving in the Baa Atoll. Several thilas, or islands with submerged pinnacles, showcase beautiful coral reefs and sharks are seen here all year round at most dive sites. Because there are so many islands, every scuba diving experience in the Baa Atoll will be unique. This variety of dive sites and the varying conditions make it a worthwhile scuba destination for any experience level. 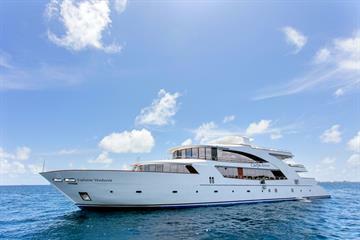 Maldives Liveaboards are highly recommended to get the most of a dive holiday since 3 or 4 dives a day is the standard, and sometimes strong currents in the island channels can make accessing them by day boat quite a long trip. Scuba diving the Maldives' Baa Atoll is to scuba dive in one of the greatest biospheres on Earth. The Baa Atoll was designated as a UNESCO World Biosphere Reserve in June 2011 placing it in the world-class company of places like Komodo, Indonesia and the Galapagos Islands. The region harbors significant biodiversity of reef animals, hard and soft corals, reef fish species, turtles, manta rays and any number of shark species. Hanifaru Bay is one of the few places on earth where whale sharks congregate to mate. Baa Atoll scuba diving is also famous for offering one of the largest gathering of manta rays worldwide. CHRISTMAS TREE ROCK - This bizarrely shaped reef resembles a tiered Christmas tree with stunning reefs and marine life on each level starting with white tip reef sharks circling the bottom of the rock. Stingrays rest on the overhangs as schools of blue striped snappers and various nudibranchs and other critters carve out their space on the vibrant reef. HANIFARU LAGOON - Baa Atoll has become most famous for Hanifaru Bay and the gathering of the mantas as they push the plankton to become trapped in the bay, however, this site no longer allows scuba diving. 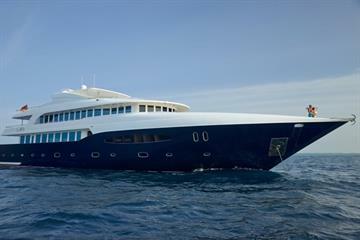 On a liveaboard, guests might be fortunate enough to see the feeding frenzy from boat deck or snorkeling off of the liveaboard deck. DHIGALI GIRI - A great site for open water divers, the top of this huge reef begins at just 3 meters. The north-easterly corner presents some fun overhangs to explore and many different colored corals blooming down the sides. The reef is largely protected from currents and a wide variety of fish species co-exist in this calm space. DHONFANU THILA - Dhonfanu is an oval-shaped reef starting from about 7 to 14 meters with a beautiful swim through at around 18 meters. A canyon on the other side of the swim through reaches down to 25 meters where divers are greeted by flourishing marine life including grey reef sharks, eagle rays, barracudas and large schooling Jacks. NELIVARU HAA- A unique coral formation forms an underwater mountain at around 14 meters. Descending to 30 meters, divers will see many hard and soft, colorful coral species across fun swim-throughs, canyons and overhangs. Stingrays, large groupers, bat fish, sweet lips are seen here, and during Manta season, Nelivaru becomes a cleaning station for the visitors where divers are witness to this bit of underwater domestic daily life at every turn. 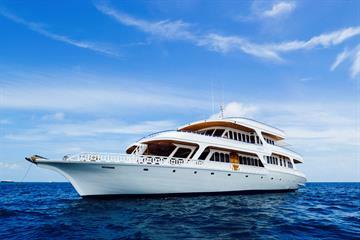 The Maldives and Baa Atoll are great for scuba diving year round. Water surface temperatures hover around a warm 24 to 27 degrees Celsius, so a 5mm shortie is recommended. Two seasons influence the weather in the Maldives making the best times to go scuba diving the Baa Atoll from June to October and December to March. The wet season of May to August brings a period of decreased visibility, however the tropical climate, fewer tourists and increased whale shark and manta sightings can make scuba diving at this time more desirable. The diversity of dive sites throughout the Baa Atoll islands in the Maldives makes it a great location for all experience levels. Never enter the water in Baa Atoll without checking with a local dive master for the latest safety precautions as currents can be swift and change rapidly. 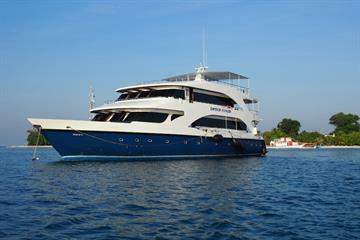 The best way to scuba dive Baa Atoll is from a Maldives Liveaboard. 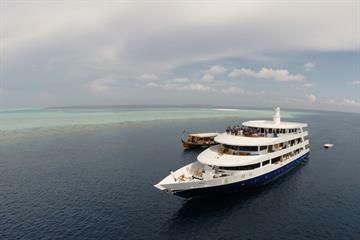 Most guests will arrive to the Maldives by way of the capital city Male. The most common methods of transportation are smaller island hopping flights or speed boat. From Male, guests will likely take a quick 20 minute domestic flight to the airport for Baa Atoll situated on the island of Dharavandhoo. 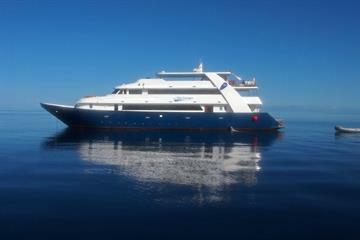 If traveling to the islands to experience Maldives scuba diving, your liveaboard or chosen resort may have a plan of arrival already set for you, so always check.